Disaster! 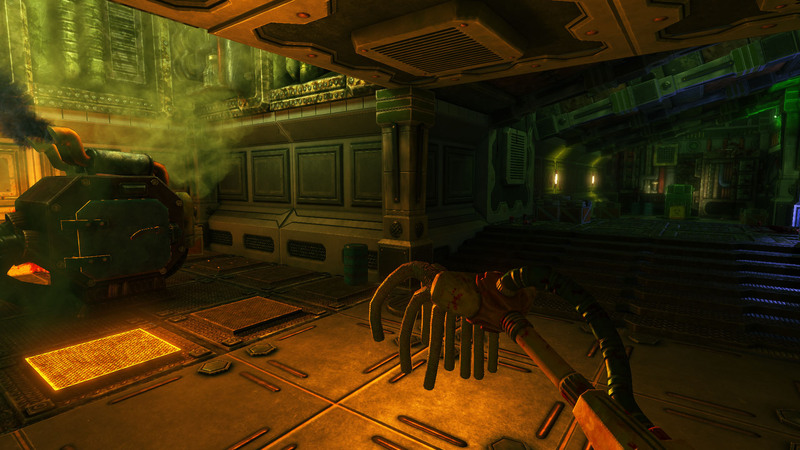 An alien invasion and subsequent infestation have decimated this facility. 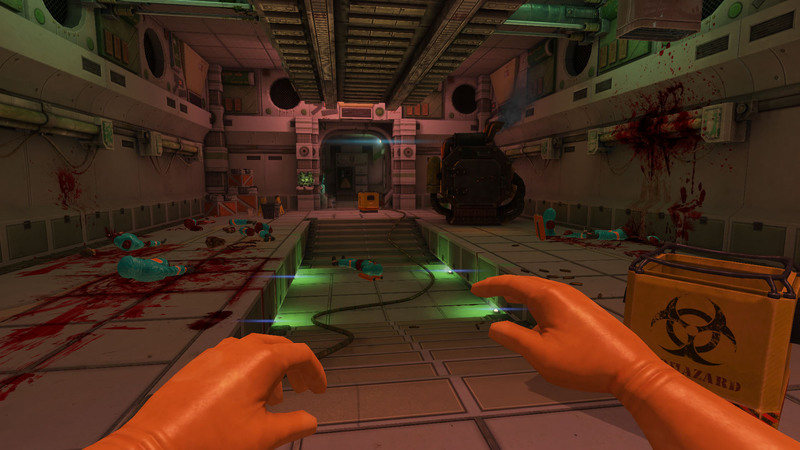 Many lives were lost, the facility was ruined and the aliens were unstoppable. 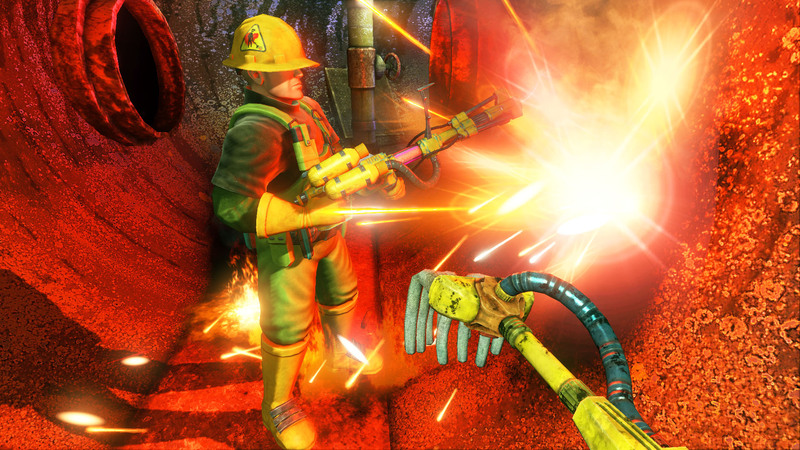 All hope was lost until one survivor found the courage to fight back and put the aliens in their place! It was a long and horrific battle as the survivor dueled with all manner of horrific life-forms and alien mutations, but our hero won out in the end and destroyed the alien menace! Humanity was saved! 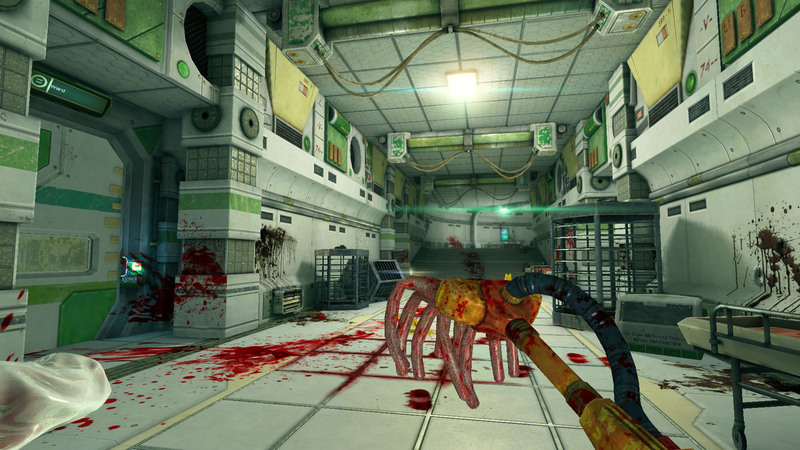 Unfortunately, the alien infestation and the heroic efforts of the courageous survivors have left rather a mess thoughout the facility. 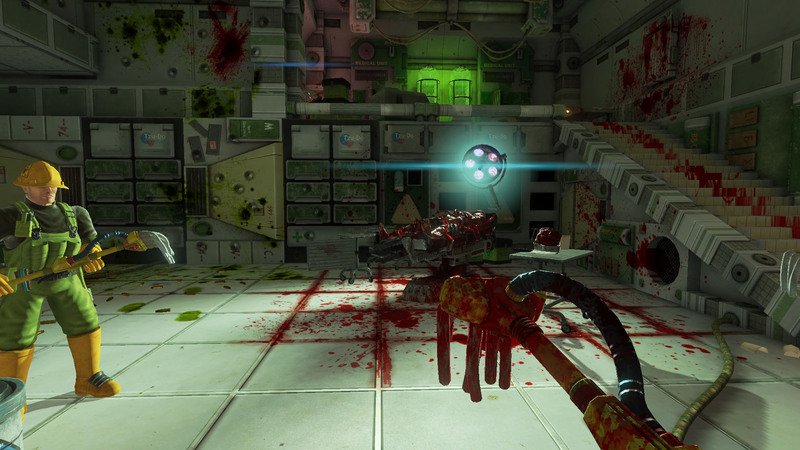 As the janitor, it is your duty to get this place cleaned up. 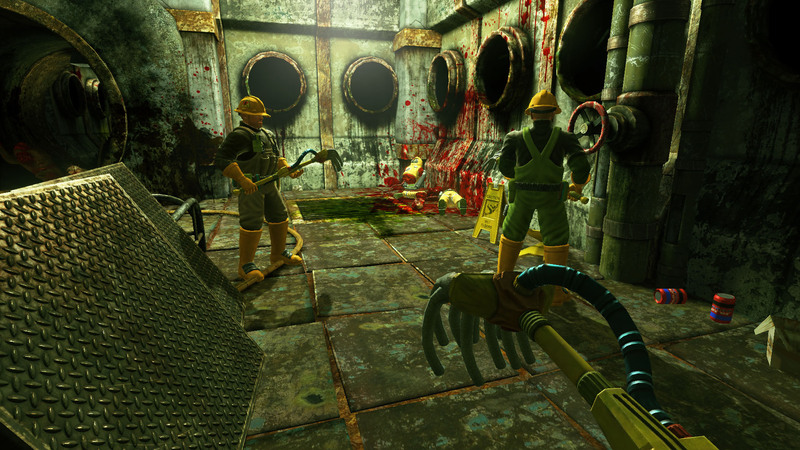 Today you're on Viscera Cleanup Detail! And great news! 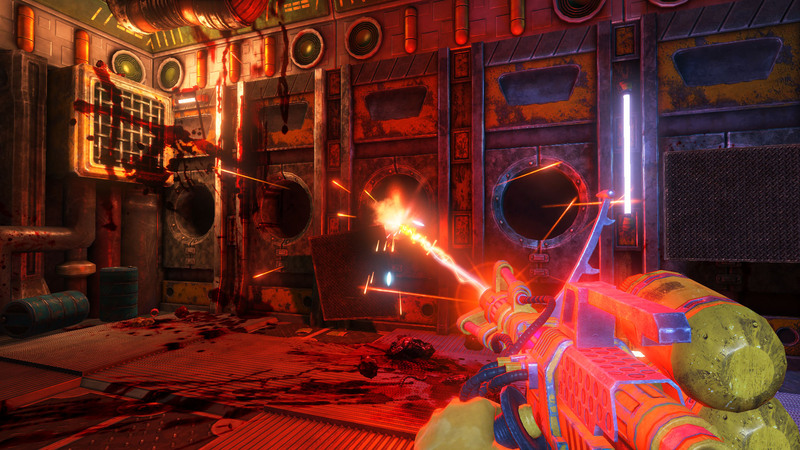 Buying/Pre-ordering gets you FREE Steam keys for both our crossover game with Devolver Digital, "Viscera Cleanup Detail: Shadow Warrior", and our Christmas themed "VCD: Santa's Rampage"! 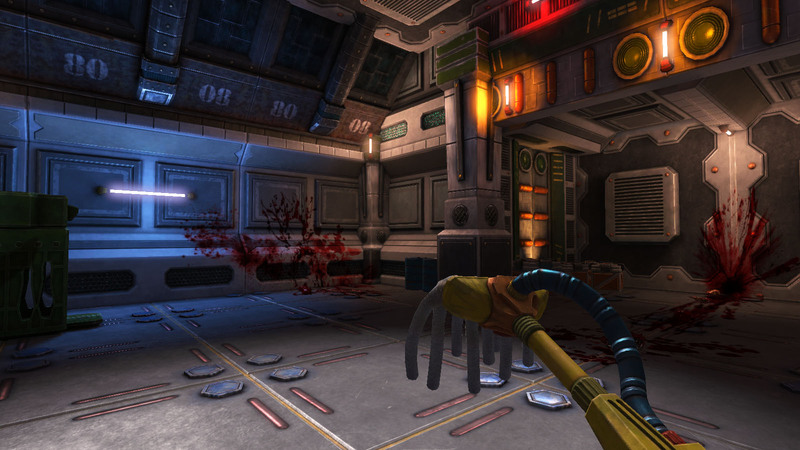 Viscera Cleanup Detail is a first person sandbox game for windows PC built with the Unreal Development Kit. 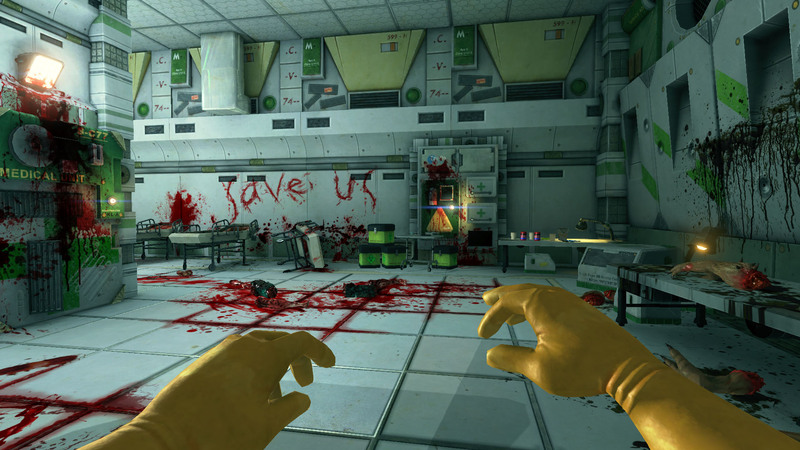 You will be tasked with cleaning up the grisly aftermath of sci-fi horror event. You get the final full version when the game is finished(which is now!). 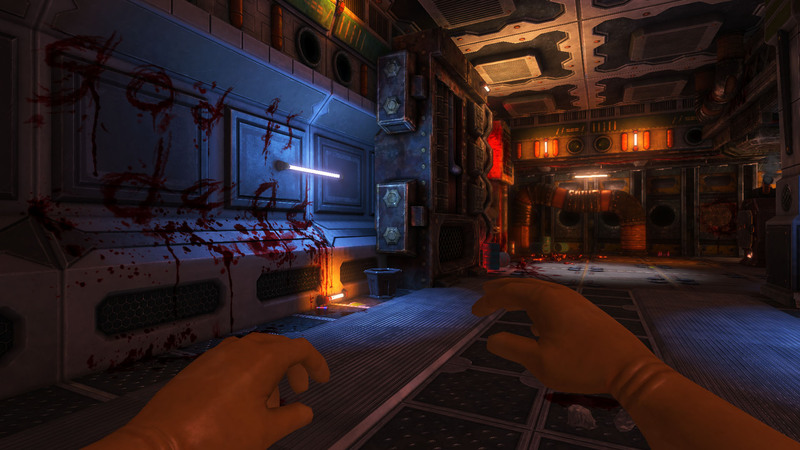 You get access to the non-public alpha and beta builds as we develop the game. You get a Steam key for the game on Steam when buying direct with the widget. 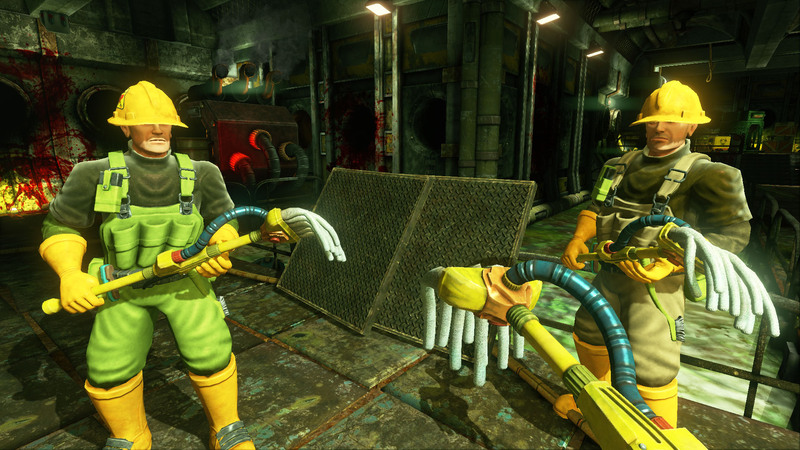 You help support RuneStorm and the development of Viscera Cleanup Detail. 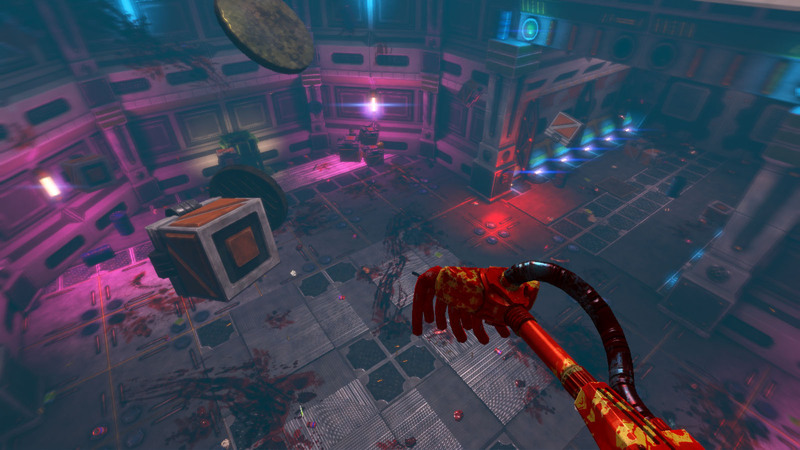 You also get a free Steam keys for "Viscera Cleanup Detail: Shadow Warrior" and "Santa's Rampage"! The free alpha has not been worked on in a long time and is not supported, but it's still there to try!